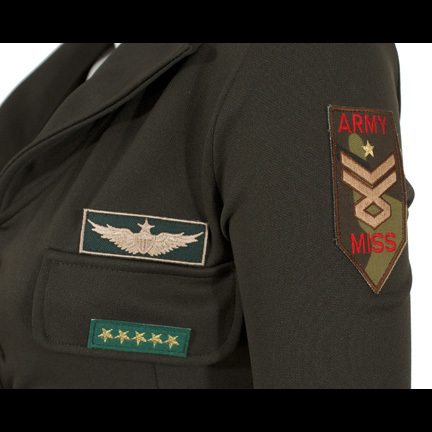 Military jacket worn on cover of "Candyman" single. 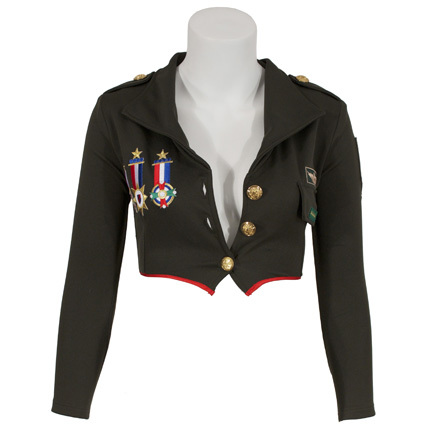 This jacket was worn by singer Christina Aguilera on the cover of the single “Candyman” from her fifth studio album “Back To Basics”, released in August of 2006. 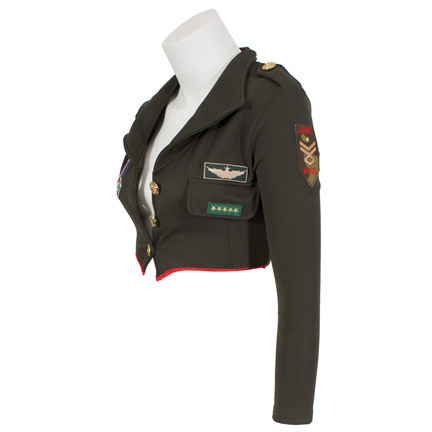 The dark green military style bolero jacket has large brass buttons on the front and epaulets with red trim at the hemline, and is complete with all the faux military insignia and patches as seen on the cover. 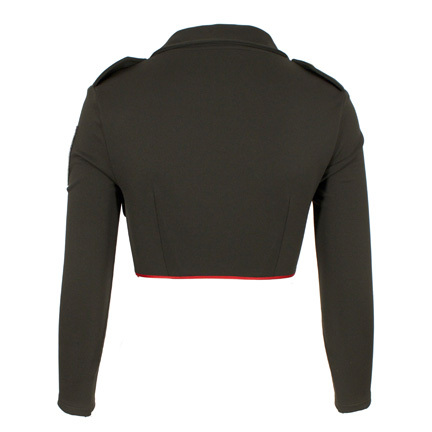 She was also featured wearing the jacket on the cover of the subsequent “Candyman Remixes” release. “Candyman” was the third and final American single off of the “Back To Basics” album. The single was released in early 2007 and received a Grammy Award nomination for Best Female Pop Vocal Performance in 2008. 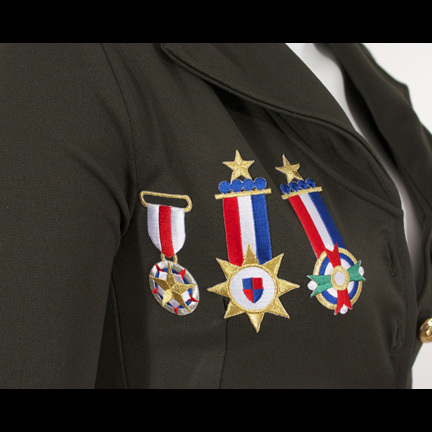 The garment is in excellent condition and is accompanied by a letter of authenticity from the costume house that provided it for Ms. Aguilera’s use on the photo shoot. 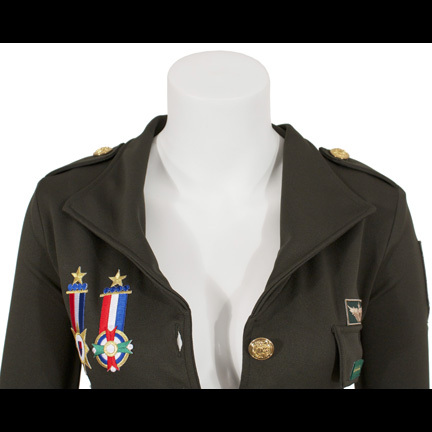 Presented by The Golden Closet, your premiere source for iconic screen used wardrobe, props, and collectible music entertainment memorabilia.